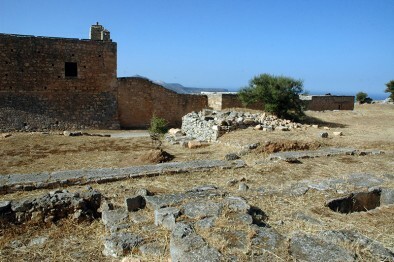 Ancient Aptera was one of the largest and most powerful city-states of Western Crete. 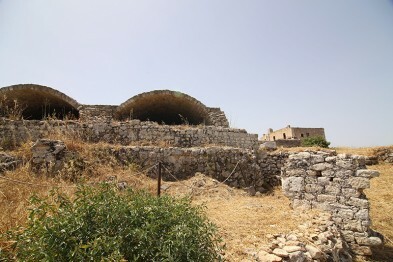 Its ruins are located on the rocky hill that dominates the southeast side of Souda Bay, above the national road connecting Chania with Heraklion (16th kilometer). Their size is indicative of the power of the city during the period of its acme. 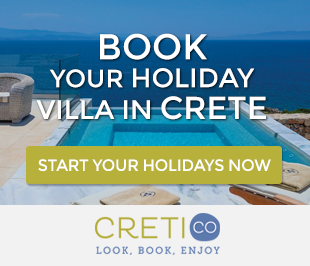 Looking for accommodation in Chania? 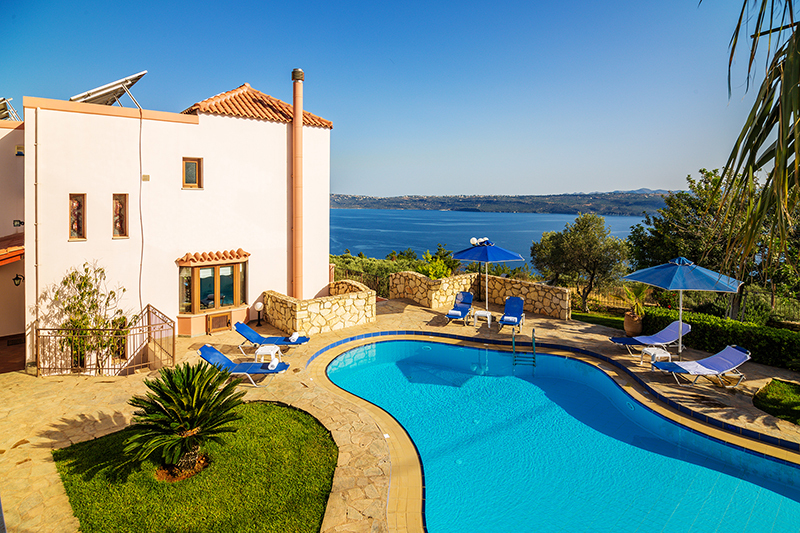 Check out these modern holiday villas in Chania! The excellent, naturally fortified location of the city has been proved ideal and contributed to its development into the most important commercial and political center of western Crete. 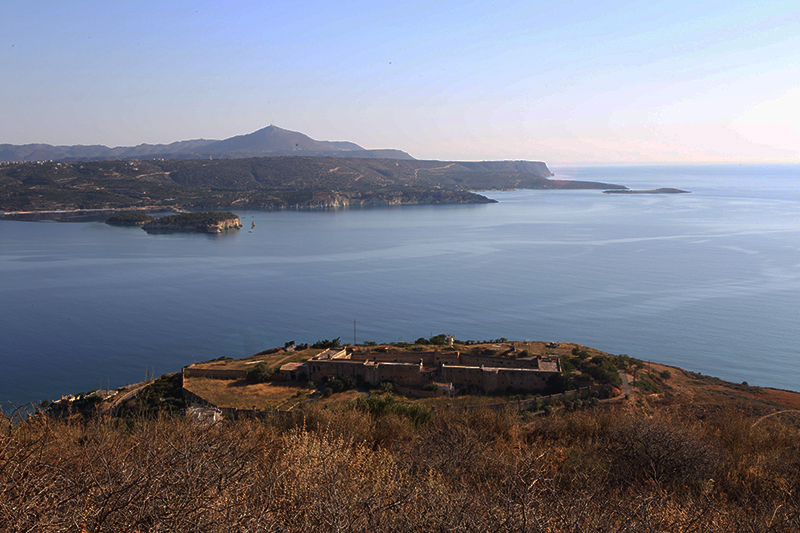 Its two harbors, Minoa (known as Marathi) and Kissamos (below Kalami village), Aptera city controlled all maritime activity in Souda bay and was protected by large cyclopean wall. Where Ancient Aptera Got Its Name From? Ancient Aptera got its name, in one version, from the mythical king “Ptera”, or “Aptera”, who according to the legend was the one who built the temple of Apollo at Delphi in 1800 BC. In another version, the name of the city derives from the Sirens who lost their wings (called “ptera” in ancient greek) due to their regret, when defeated in a struggle with Muses. They fell into the sea and transformed in Lefkes islets of Souda bay. The habitation of the area started in the pre-Hellenic years and continued until the first Byzantine period. The city was developed most, during the Hellenistic period (4th and 3rd century BC. ), when it created its own currency. During this period, Aptera was one of the most important and rich nautical, commercial and industrial centers of Crete. In the city, as it is proved by the finds from the excavations, was developed an important war industry, while its ships transported its products in southern Italy, Ancient Greece and the East. 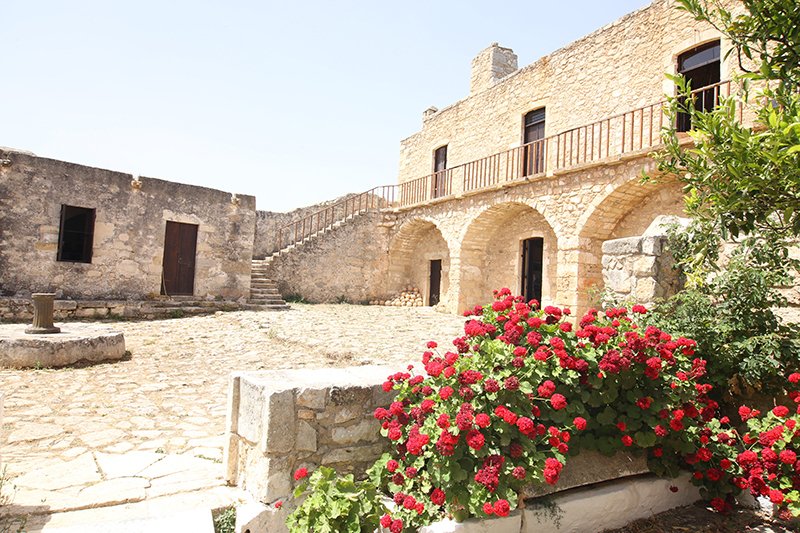 During the Roman period, Aptera is shrinking and its economy is based on rural activities. The city, though not so strong now, is still inhabited during the Byzantine era and is even a bishop. An earthquake in the 7th century and a little more after the invasion of Saracen pirates put an end to the existence of the city around 820-830 AD. Later, on the ruins of Ancient Aptera founded the monastery of St. John, which was first mentioned in an official document in 1181. The monastery operated until the decade of 1960. 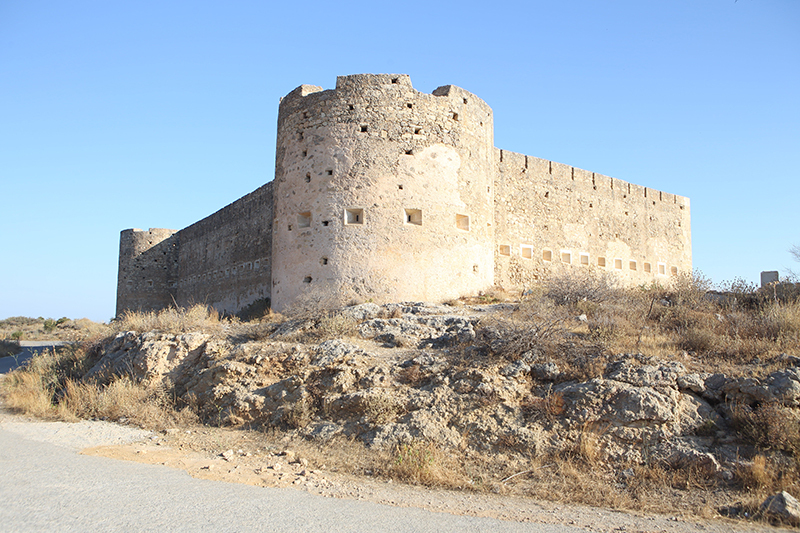 Later, in the Ottoman period was constructed the fortress built in the northwest of the archaeological site. 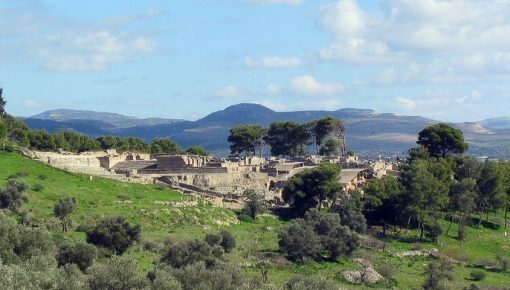 The archaeological site of Ancient Aptera is visited by many tourists every year and its ruins are reminiscent of the past splendor and power of the city. In the area, dominate the vaulted Roman cisterns, which are still kept in very good condition. 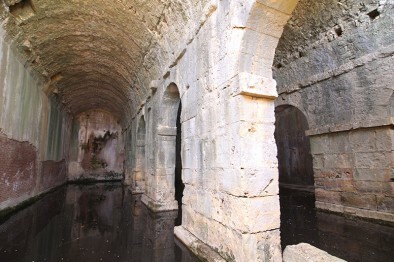 The cisterns provided water to the installations of private and public baths, excavated west. When you visit Ancient Aptera, you will see a part of its walls, well preserved, in length greater than 4 km. Those cyclopean walls surrounded the entire rocky plateau on which the city was built. 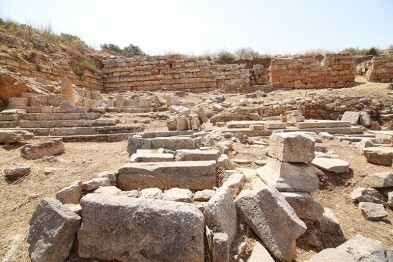 In the area was also excavated a small church, a large private house with columned courtyard, the auditorium, the orchestra and the first tier of a theater and necropolis west of the city with carved tombs. 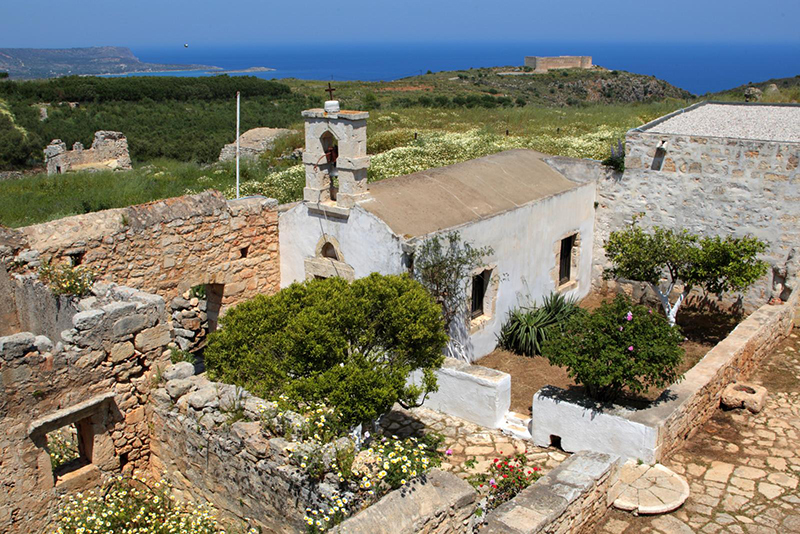 There are quite many options for holiday homes in Aptera or the areas close to it, such as Souda and Megala Chorafia. 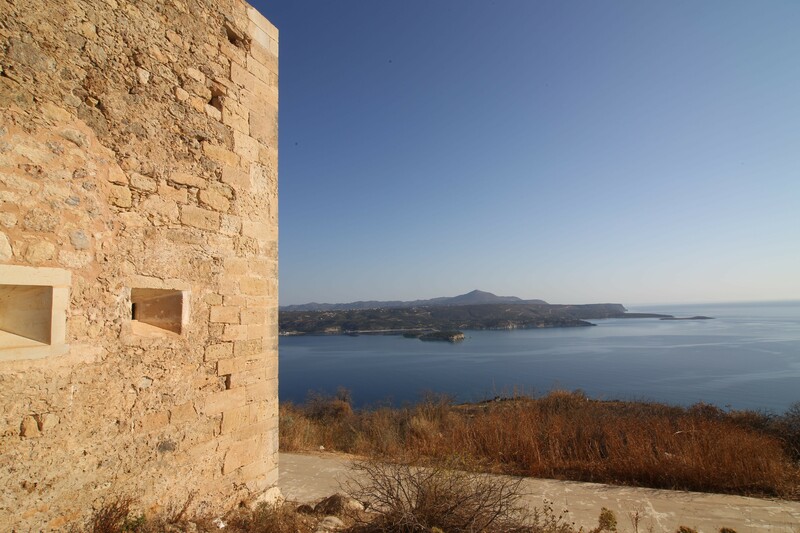 Almost all of them offer an amazing view to the bay of Souda, and a number of amenities as Chania city and Kalyves village are only a few km. from Ancient Aptera. 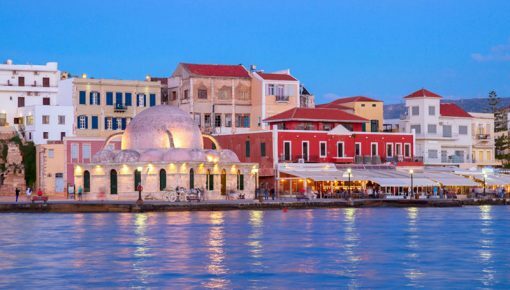 Explore Chania Old Town And Venetian Port! Posted on 26 Mar 2016 in Chania and tagged Ancient Aptera, Archaeological Sites In Crete, Chania Highlights.